Most digital cameras work with both Macintosh and Windows-based PCs. You can transfer digital pictures to either kind of computer, and after the image files are on your computer, use whatever Mac or Windows programs you want on them. 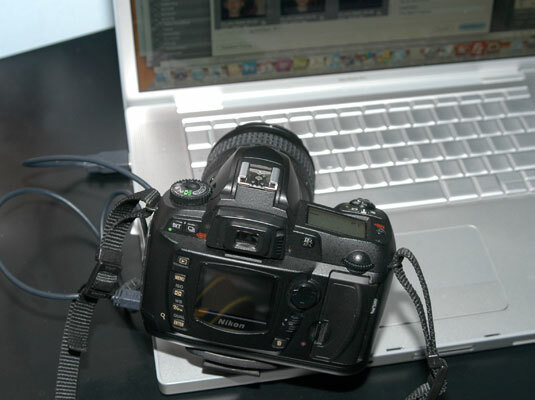 1Connect the camera directly to the computer by using a cable. If your camera stores pictures on removable memory cards, you can buy a card reader and eliminate the need to connect camera and computer altogether. 2Download the images from your camera to your computer. Both Macs and Windows-based PCs make this process pretty easy. 3Edit your images in your computer’s image-editing software, if you want. You can buy good photo-editing programs that are compatible with both Macs and PCs (although the choices for Macintosh software are more limited than on the Windows side).